This is a safety program designed for children who are ENTERING KINDERGARTEN in September 2019. The program is open to all children of Ewing Township. It is co-sponsored by The Ewing Board of Education and The Kiwanis Club of Ewing Township. Safety Town will be held in the Gymnasium at FISHER MIDDLE SCHOOL, 1325 Lower Ferry Road, Ewing, NJ 08618. We urge you to enroll your child as soon as possible as there will be limited registration. You will be responsible for your child’s transportation to and from Fisher Middle School each day and we request that you, the parent(s), DO NOT attend the daily Safety Town sessions, but please plan on attending Safety Town GRADUATION on Friday, June 28, 2019 at 9:00 am (half day session). Safety Town begins on Monday, June 24th and ends on Friday, June 28th, 2019. There is a nonrefundable Safety Town fee of $65.00 per student which is a nominal fee for the five day program. The children receive t-shirts, coloring books, certificates and go on field trips. We teach pedestrian and street safety; we also teach what to do in case of a fire, in meeting strangers, how to play safely, emergency vehicles, dangers of household objects, medicine bottles, etc. and much more. Parents/Guardians are to provide a lunch for their child each day. All lunches must be clearly labeled with the child’s first and last name. There will be no cooking facilities; however, refrigeration will be available. Make checks payable to Ewing Kiwanis Club and send the completed form, along with your check, to Dennis J. Nettleton, School Business Administrator, The Ewing Public Schools, 2099 Pennington Road, Ewing, NJ 08618 (Phone 609-538-9800 X1302). The closing date for registration for Safety Town is Friday, June 7, 2019. Ewing Township is proud to announce that is has joined the New Jersey Attorney General’s “Project Medicine Drop” initiative, and has installed a Project Medicine Drop box at police headquarters. The department’s new Project Medicine Drop Box is located next to the information window of the police department at 2 Jake Garzio Drive. Residents may visit the Ewing Police Department at any time, 24 hours a day, seven days a week, to dispose of their unused or excess medications. No liquids, medical wastes, or syringes will be accepted. Residents are reminded to remove name and address labels from any containers prior to disposal. In addition, the department also has a mobile drop box, which residents can utilize for medication disposal while attending various township events. Those events that the mobile drop box will be at shall be announced on the township website and department website. By giving New Jerseyans a safe and secure method to dispose of unneeded medications, Project Medicine Drop helps prevent the abuse of these drugs. This initiative also protects New Jersey’s environment by keeping these drugs of the landfills and out of the water supply. More information about Project Medicine Drop, including the full list of Project Medicine Drop locations, can be found at www.NJConsumerAffairs.gov/meddrop. The Ewing Police Department will be adding a new tool to its law enforcement tool box by launching a body-worn camera program. We are currently conducting field tests with the department’s WatchGuard Vista BWC. The camera is a secure, high-resolution video camera, which is approximately the size of a pager that records both audio and video. While we believe that the use of these cameras will significantly benefit both the community and our officers, we know that no technology is a perfect answer to all situations. Body-worn cameras have limitations; however we believe that in the end the community and the officers who work to improve the quality of life here will benefit from their use. The use of body worn video camera technology will provide value in enhancing officer safety, reduction of liability, assist with prosecution and case resolution, and further promote professionalism and accountability. The men and women of the Ewing Police Department would like to thank you for your continued support. We pride ourselves on our transparency to the public and with that said will have a formal press release/conference once we conclude our testing period and move to full implementation. In recent months there has been an increase in reports of the jury duty phone scam across the country. This scam has been in the phone scammer's playbook for decades, and now it seems it's making a resurgence. Click on the picture above on more information on this scam. -Call you to demand immediate payment. The IRS will not call you if you owe taxes without first sending you a bill in the mail. -Demand that you pay taxes and not allow you to question or appeal the amount you owe. -Require that you pay your taxes a certain way. For instance, require that you pay with a prepaid debit card. -Ask for your credit or debit card numbers over the phone. -Threaten to bring in police or other agencies to arrest you for not paying. You can also visit the Better Business Bureau for other scams that are going on. On 12/23/14 at approximately 0600 hours Ewing units were detailed to the 1900 Block of Pennington Road for a report of a male inside a female’s house. Upon arrival a male was observed running from the rear of the residence. A search was conducted of the surrounding area. A Trenton K9 unit was called in and attempted a track which proved unsuccessful. The female, who was home alone, said she awoke to a black male in her room. The male inappropriately touched her before fleeing out the back door. The suspect was described as a black male, approximately 6 foot, thin build wearing a dark colored hooded sweatshirt and khaki type material pants with black sneakers. The female indicated the male smelled of cigarettes. Above is a composite sketch of the suspect. .Anyone who may have witnessed this incident or has information related to it is asked to call Det. Michael Pellegrino at 609-882-1313 ext. 7597 or the Tip Line at 609-882-7530. 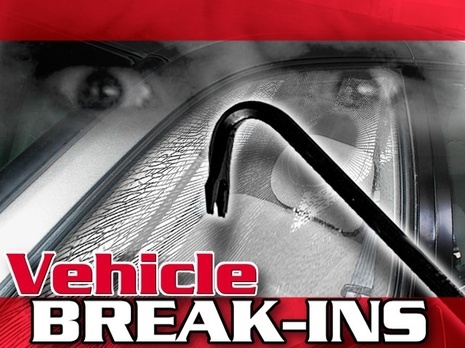 Over the past week and a half there have been four (4) motor vehicle thefts and six (6) burglaries to motor vehicles in the West Trenton and Mountain View sections of our town. They are usually occurring in the early morning hours. We are asking residents to call the police department if they observe or hear any suspicious people or unusual activity. Don't wait until morning to call the police. Patrols have been stepped up throughout our town in response to this recent activity. DON'T GET CAUGHT WITHOUT A HELMET!!! The Ewing Police Department has teamed up with Safe Kids Mercer County/St. Lawrence Rehabilitation Center, Brain Injury Association of New Jersey, Inc., Safe Kids New Jersey/New Jersey State Safety Council and the NJ Division of Highway Traffic Safety to present “Think Positive: A Helmet Safety Reward Program”. Ewing Officers will be "ticketing" kids who they see following New Jersey Bicycle Helmet Laws. These tickets will be redeemable at local eating establishments for a free sandwich, ice cream cone, or slice of pizza. Visit http://bianj.org/think-positive for more information. Over the past two weeks, a couple of elderly victims came to Ewing Police to report that they were victims of a scam. Both of these cases were similar in that they each received a phone call by an individual claiming to be their “grandchild” who indicated that they had been arrested while out of the country (Canada and the Dominican Republic). The person on the phone then requested that they send money $1,000-$1400 via Western Union so that they can make bail. This is not the first time that we have seen this type of scam in Ewing. A search of the FBI’s website talks about this type of scam and has labeled it “The Grandparent Scam”. These types of scams have been around since as early as 2008 but the scam artists have gotten better over time. How the scam works is that the grandparent receives a call from someone claiming to be their “grandchild”. The “grandchild” will tell some type of story usually involving their travels to another country where they have been arrested for drugs, or have been arrested after being involved in an automobile accident or that they have been robbed. Sometimes during these calls or during a subsequent call, a second person will get on the phone claiming to be an attorney or public defender representing the “grandchild”. Either the “grandchild” or the “attorney” will request that the grandparent send a sum of money via Western Union so that they can get bailed out. Ewing Police would like to remind individuals that if you receive a call like this, take a moment to find out what is going on before you act. Attempt to contact the involved grandchild or another family member to help determine if the call is legitimate. Ask the “grandchild” a personal question that only your grandchild would know the answer to. Be suspicious of any request to send money overseas based on a phone call or email. If you have any questions regarding a possible scam, contact your local police department before sending the money. Once you send the money, even via a wire transfer, you can’t get it back. If you have fallen for one of these scams, contact your local police department to file a report. In addition, you should report the scam to IC3 (Internet Crime Complaint Center) at www.IC3.gov. To report an outage or check on the status of restoration. Available 24 hours / 7days. Ewing Police Officer Chris Boller gives Christopher LaBaw, Jacob Janel and Alex LaBaw “tickets” for wearing their helmets while skateboarding, biking and rollerblading. These tickets are part of the “Think Positive” Program which rewards children for wearing their helmets while participating in a wheeled activity. The tickets may be redeemed for pizza, soft pretzels, ice cream, yogurt or sandwiches. The Think Positive Program is collaborative initiative with the Ewing Township Police Department, St. Lawrence Rehabilitation Center, the lead organization of the Mercer County Chapter of Safe Kids, and the Brain Injury Association of New Jersey. The program reinforces the importance of prevention and helmet safety through a positive reinforcement approach. Each year in the United States, approximately 200,000 children are hospitalized due to brain injury sustained on bicycles, skateboards, scooters and skates. Even a mild brain injury, a concussion, can have significant consequences throughout the individual’s lifetime. Research show a properly worn helmet is the single most effective safety device available to reduce brain injury and death by as much as 88% (Dr. C. Everett Koop). Local businesses donating the rewards are Philly Pretzel Factory, Red Star Pizza, Haley’s Homemade Sandwiches, McDonald’s, Yo-Licious Twist Frozen Yogurt, and RJ’s Café, all in Ewing Township. For more information, contact Jane Millner at 609-896-9500, ext. 2215. Two Improvised Explosive Devices (IED’s) have been detonated in Ewing Township. Neither of these detonations have caused injury or property damage as of yet but the Ewing Police Department wants to emphasize the fact that these devices are dangerous, with the potential to cause severe injury and death. It is our belief that juveniles, probably in the West Trenton Area, are responsible for these detonations. Parents should be talking with their children about the dangers of these devices and staying on top other their children’s activities. Parents should take note of any missing duct tape, bleach, liquid drain cleaners and any other household chemicals. Residents who reload their own ammunition should take careful inventory of their stock and note any missing powder. We urge you to check your households for illegal fireworks, this includes sparklers. If you find a suspicious device or devices, do not touch and immediately call 9-1-1. Examples of suspicious devices include those that may be wrapped in duct tape, pipes with end caps on each side, fuses sticking out, bottles with liquids that seems not to belong in that type of bottle, bottles that seem to be expanded from pressure, etc. Please do not touch these items as they could detonate by any movement. Anyone with information about these devices should call Dsg. John Stemler at 609-882-1313 ext 5575. REMINDER: If you find a suspicious device CALL 911 IMMEDIATELY. Our Community has been experiencing an increase in burglaries to residences, businesses and vehicles. They are happening at all times and every day of the week. We are asking residents to call the police department if they observe any suspicious people or unusual activity. This has been verified by the FBI (their link is also included below). It is spreading fast so be prepared should you get this call. Most of us take those summonses for jury duty seriously, but enough people skip out on their civic duty that a new and ominous kind of fraud has surfaced. The caller claims to be a Jury Duty Coordinator. If you protest that you never received a summons for jury duty, the Scammer asks you for your Social Security number and date of birth so he or she can verify the information and cancel the arrest warrant. Give out any of this information and bingo, your identity was just stolen. The fraud has been reported so far in 11 states, including Oklahoma , Illinois , and Colorado , AZ and more. This (swindle) is particularly insidious because they use intimidation over the phone to try to bully people into giving information by pretending they are with the court system. The FBI and the federal court system have issued nationwide alerts on their websites, warning consumers about the fraud. Click on the symbol above to visit their webpage. Here are some useful downloads from FEMA.